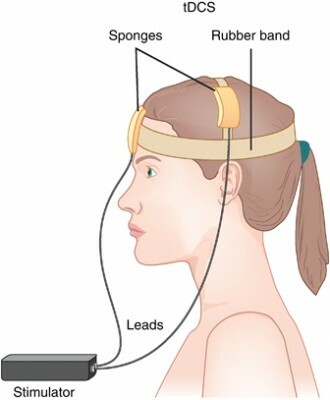 Transcranial direct current stimulation (tDCS) has successfully been used to treat depression. In this treatment, electrodes applied to the scalp provide a constant low level of electricity that can modulate neuron activity. In a 2017 article in the journal Progress in Neuro-Psychopharmacology & Biological Psychiatry, researcher Elena L. Pavlova and colleagues report that both 20- and 30-minute sessions of tDCS improved mild to moderate depression when combined with the selective-serotonin reuptake inhibitor (SSRI) antidepressant sertraline. However, the 30-minute sessions produced more improvement in depression. In the study, 69 right-handed patients (average age 37.6) received 50 mg of sertraline (Zoloft) per day and were randomized to one of three tDCS conditions: 10 daily 30-minute sessions, 10 daily 20-minute sessions, or 10 daily sham sessions with no tDCS treatment. The tDCS consisted of 0.5mA anodal current to the left dorsolateral prefrontal cortex. Both 30-minute and 20-minute tDCS sessions produced greater benefit than the sham sessions. The 30-minute group showed significantly greater percentage improvement in depression scores than the 20-minute group, and included more participants who responded to treatment (89% compared to 68% of the 20-minute group and 50% of the sham group) and more whose depression remitted (70% compared to 27% of the 20-minute group and 35% of the sham group).